Create the rich alluring colour and captivating aromas of one of India&apos;s most popular dishes. Make a dish bursting with the flavour of rich tomatoes, onion, Garam Masala spices and chilli. Just add your choice of meat and vegetables and your own personal magic. 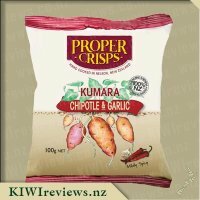 With these packets, they stand up really well in the pantry and save space for us compared to the glass jars. 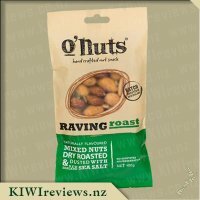 I am always looking for things like this and being in a foil/dark packet I wondered if this changes the flavour and colour at all. I&apos;ve tried a couple of different brands of tikka masala and have no idea if they are the true blue thing or not but this was my favourite. Spice wise my kids could still eat it and I could have an enjoyable meal without to much hassles (although instead of yoghurt we used cream). Colour wise I have a huge lack of understanding as to what colour it should be but ours was a lovely orangey/red golden colour. Most the plates were licked clean at the end of the meal so you wouldn&apos;t really know without looking at faces. We served this with rice and I must admit I did show off a little with my serving. I used a metal cup and made stuck the rice in, then tipped in onto the plates a bit like a sandcastle, next came the tikka masala which was spooned generously over the top with a green leaf put in for serving purposes only. 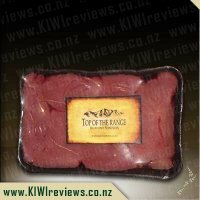 I would not hesitate to buy this again and again and would be keen to try it with other types of meat. Huge thumbs up in our house for this. When I saw this sauce was available for review, I knew I had to try it. We love Indian food in our house and get through more rice than potatoes and being English, Tikka Masala is our national dish. 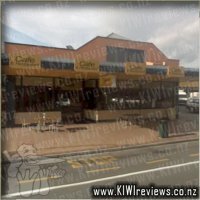 I have tried various other Indian style sauces and to be honest, have been disappointed with many of them. There is always something missing and not quite right. With this sauce, I was surprised and enjoyed it more than any other brand. 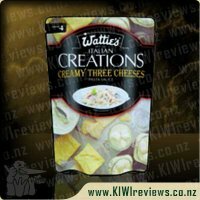 As soon as I opened the packet I was impressed, the smell, the colour and the texture of the sauce were all authentic in my opinion. 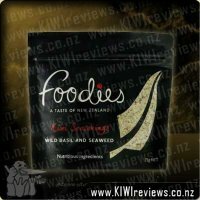 The packaging, a silver foil pouch, must keep the sauce fresher and stop light from destroying flavour as a jar would. With the sauce I added chicken and once Miss11 had her served I added some onion and chilli I had sauteed to spice it up a bit. Miss11 found the sauce on the spicier side but still managed to eat a good portion. Us adults did try the sauce before and after our additions and defiantly liked it spiced up but this is a common things with us spice lovers. Over all, I was very impressed and will certainly buy this sauce in the future to have in the cupboard when the curry urge strikes, we will also be buying other varieties in this range as we enjoyed this one. Tikka Masala is one of my favourite curries to make at home and quite often buy spice mixes to make this. I feel that it is a curry you can add any vegetable too and use any meat to make a wholesome meal. 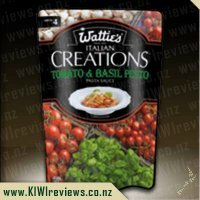 Once again Watties has developed an easy sauce mix, which is well packaged. Love being able to put these pouches in my food drawers. I made this meal with chicken (my favourite) and decided to add, carrots, egg plant and cauliflower to it also. I was unsure about the colour at first as I am use to tikka masala being a lot more red than what was in this package. However the taste was not compromised at all. It had lovely aromas and tasted divine. 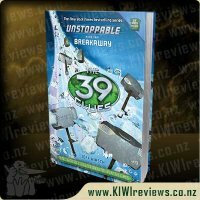 All the family enjoyed it and asked for more. 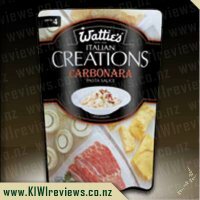 I have since bought more of this and one way that I have used it is as a pasta sauce. 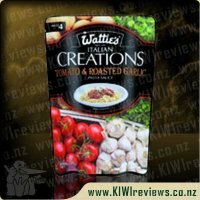 The tomato base makes it ideal for this and reminds me of a Watties Indian flavoured tomatoes that I use to make pasta sauce with. Having is as a sauce mix saves me adding the onion etc. To make this pasta dish I mixed the Watties Tikka Masala and cheese through cooked pasta and put it in the oven to bake. 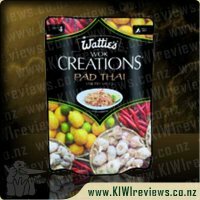 I have tried nearly all of the wok creations that have been up for review and they have all been fabulous. 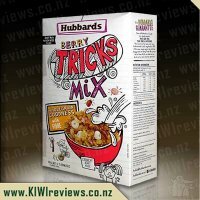 Easy to use, simple instructions, very little ingredients and so so easy to whip together after a busy night at work. I got home from work and couldn&apos;t wait to throw the tikka masala into the pot. We had chicken on hand so used that BUT I think it would probably taste good with beef as well. I put it in and had it simmering for a wee bit then added the yoghurt. I read the front of the packet and saw it was a medium spice so decided to add a tiny bit more so that it wasn&apos;t too hot for the toddler. It had been simmering for 15 minutes when I noticed it was beginning to bubble and looked as if it was starting to stick to the bottom of the pan. I decided that 15 minutes of simmering was enough and turned it off. We had it served with brown rice, beans and broccoli and it was lovely! Even after the extra amount of yoghurt in it it was still a wee bit spicy for the toddler but myself and my other half found it great. there was plenty left in the pan to go round. So looks like Tikka masala for lunch tomorrow yumm! All in all another amazing creation. 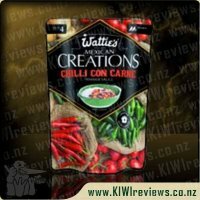 I am a very big fan of the Watties creations sauces, whether they be indian, wok, italian or whatever. I think they are excellent value for money and the simplicity and ease of use is perfect for oyr sometimes busy lifestyles. I like that you can use pretty much any of the sauces in a slow cooker if time allows at the beginning of the day, or if you are running late come dinner time a high percentage of them can be made from packet to plate in around 30minutes. Be sure to check packet though as a couple of them require a much longer cooking time. Tikka Masala is one of the quick to be ready sauces. We generally love a good masala in my house and so were quite excited to try this. Like the others the packets are easy to open, there is plenty of sauce contents, and the instructions are pretty straight forward. We made this using beef because it is what we had on hand as we did not have any chicken on hand. Other than using beef instead of chicken we used everything else as per packet. This was easy to make with a really nice sauce cover. However I did notice that the packet called fir 25 minutes of simmering, but within 15 minutes the sauce was looking like it had thinned a bit in the pan and was starting to stick to the bottom. Needless to say I did not continue simmering it, but instead turned it off so as not to burn it while the basmati rice was cooking. Once the yoghurt was mixed through there was again a good thick cover of sauce. We are a family of 5, 3 of the family really liked the spiciness while two of us found it was to spicey for us. All in all it was a really nice sauce and very enjoyable... and we would buy it again too. 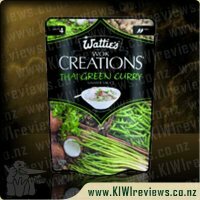 I really like and enjoy the few Indian meals I have tried (Butter Chicken, Mango Chicken etc) but have never tried Tikka Masala so when the opportunity came up to review this Wattie&apos;s Creation I jumped at the opportunity. As I have never tried this "flavour" of Indian food before I had no idea what to expect at all! I must admit that this made me a little nervous, not knowing what sort of flavour to expect from your dinner is a little bit of a strange feeling. 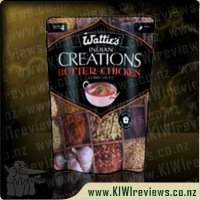 As soon as I opened the pouch I knew it was going to be okay though - it smelt a lot like butter chicken so I hoped I would have a reasonably nice dinner ahead. 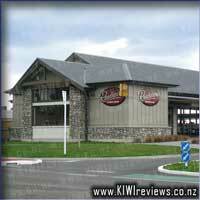 I am pleased to say I was not at all disappointed - this meal was really delicious. Now I can&apos;t comment on whether this was true to "authentic Tikka Masala" because I&apos;ve never tried it but I can comment on how full bodied and rich the flavouring was. In some ways a lot like butter chicken, very much still a curry and definitely has a spice to it. 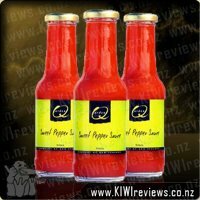 However at the same time it has a very distinctive tomato and capsicum taste. 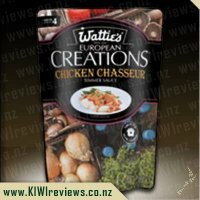 Unlike anything I&apos;ve ever tried before and enjoyed enough that we will be buying this again for future dinners at our house.Top points to Wattie&apos;s for getting it right yet again!! Quick, easy and tasty - these versatile pouches of sauce are so valuable and worth having in your pantry. 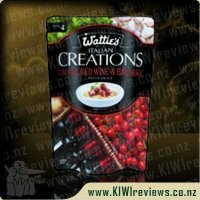 Whether you&apos;re a full time working mum or just in need of a quick last minute dinner - this Wattie&apos;s pouch will have you covered! I know generally speaking we always have chicken, onion, yoghurt and rice in our house so from now on this is another obvious option to always have available in the pantry. I love the chef&apos;s tip on the back of the pack as they really do add that little bit extra to the meal. We followed it and added natural yoghurt to dim the spiciness a bit for our delicate taste buds. I personally would class this more as medium than mild heat - but the spice was easily dimmed by using the yoghurt. With this meal base there is also the option use in the slow cooker and that&apos;s something I will definitely be trying in the future (when I have more time). I can imagine that the "melt in your mouth" tender meat known to emerge from my slow cooker would only make this meal even more exceptional. I like a good Tikka Masala sauce and so was keen to give this a good try. Looking at the front I was intrigued to see that it says you could use it in a slow cooker. I had to search the back a little bit, as the directions for putting it in a slow cooker isn&apos;t on the notepad design, but to the side. Having a look it suggests four to five hours on a low heat, so I put this on to cook once I got home with my daughter from picking her up from kindy. I used a vegetarian sausage which I cut up into slices and popped in the slow cooker, along with some onion, garlic, yoghurt and some cauliflower and left it to cook. Checking on it a couple of times I could see it was doing fine liquid wise and the smell it left in the air had me tempted to check on it more times than was needed. I cooked up some rice and when it was time to eat, served the sauce mixture on it. There was still a nice amount of sauce to drip into the rice and the sausage and cauliflower had soaked in the taste really well as well. There was only a dash of heat to it and it went down well with everything. I will be buying this sauce again. This is a rather mild indian dish, with a very distinct tomato flavour. While I generally dislike having tomatoes in my meal, this sauce has them in liquid form, so the texture that I dislike is absent, and the generally acidity of the tomatoes is neutralized quite well by the addition of the yoghurt. I love chicken, so I was very happy to have another way to be able to prepare it. It was quite enjoyable, though I felt the need to add some chillis to the meal afterwards to give it a little heat. I can certainly see this being a meal that all ages could come to enjoy. Preparation-wise, it was very simple, took very little time to make, and required very little attention. Having seen my mother make this dish in the past, I know that there can be upwards of 30 different sauces, vegetables, and spices, to make up the perfect mix for a tikka masala. But this sachet takes out all the complexity needed, and simplifies it down to 1)Cook meat 2)Add sauce 3)Allow to simmer 4)Add yoghurt if you want. 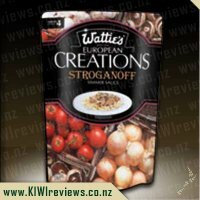 A very simple dish that doesn&apos;t burn your taste buds off with heat, but has a very noticeable tomato flavour to it. While my least favourite of the Indian Creations, It would be in my Top 4 out of the 7 that I have tried so far. 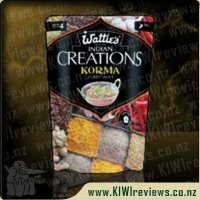 I love Indian so when the chance to review the Watties Creations Tikka masala came up I jumped at it. I had previously tried the other Indian creations so I was hoping that the tikka masala was as yummy as they were. I&apos;m pleased to say I wasn&apos;t disappointed it was delish! I tried it on a night were cooking just wasn&apos;t appealing to me so I wanted something quick, easy and tasty. After checking what was in the cupboard and the freezer chicken tikka masala was the winner. It was so quick and easy to do. I already had diced chicken in the freezer so it was a matter of defrosting that. Once it was ready to go I browned the chicken and an onion threw in the sauce and left it to simmer. The back of the pack suggested serving with rice and mentioned serving wok creation stir fry veges on the side, As I had a pack of the wok creation veges in the freezer I decided to pull them out and stir fry some up. By the time the simmering time was over the rice and veges were done ready to go. Once it was all cooked I gave it the taste test and discovered it was just a little too hot for me so went to add some yoghurt as the packet suggested, Discovering the yoghurt was gone I used some sour cream instead. Adding it to suit until the sauce suited my taste buds. The result was one very tasty meal! The sauce was the perfect mix of tomato, onion and spice. What I really love is it was so simple to adjust the spice to suit individual tastes. The meal was a real hit with the leftovers being gobbled up for lunch the following day. 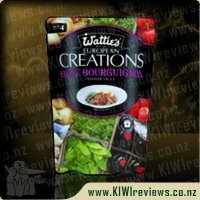 Yet again it&apos;s another creation sauce which will be making its way in to my pantry for those nights where a quick and easy meal is needed. I absolutely love Indian food. My friend introduced it to me years ago and I used to buy it as often as my budget would allow. I also got taught a few years ago how to make my own so I have been doing that instead of buying it. 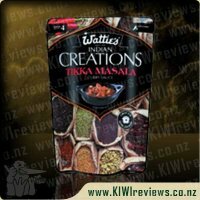 So needless to say I was stoked to see the Wattie&apos;s Indian Creations: Tikka Masala arrive with the other two sauce products. When I made this sauce I made it pretty much the same way as the Thai Green Curry sauce that I received. I (once again) didn&apos;t follow the recipe or directions on the back, but added it to the vegetables that I wanted it with. I love my spicy food, but my sister however doesn&apos;t, so once again we had a meal that wasn&apos;t really spicy enough for me, but too spicy for her. 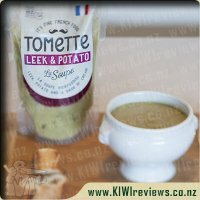 I also found that in comparison to making my own or buying it from the shop, this sauce did not live up to the expectation that I was hoping it would. Overall it made for a very nice meal, that I would make again, this time with lower expectations. 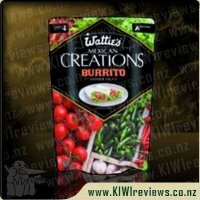 This type of sauce in packet is something that is likely to be bought on special, and then sit in the cupboard for those days that I am too busy, sick or tired to cook a meal myself from scratch. In saying that, that is what these packets are perfect for, boil some rice add vegetables and sauce and serve. We had friends over the other night for a dinner party. I was a little nervous about it. My friends go out and have Indian curries all the time. So they know a good curry when they have one. When they heard I was serving Tikka Masala they clapped their hands. Apparently this is their favourite curry. That gave me even more pause for nerves. They sat around the table and I started to chop the chicken breasts up. I cut long strips and seared them in the frying pan with some onion. Once the chicken was mostly cooked, I added strips of capsicum and the Tikka Masala sauce. I let it simmer, while I cooked up a big bowl of Basmati rice. Once it was almost ready I added a pottle of cream. Our friends had bought along some naan bread which I baked in the oven. Though I do wish I had pan fried it as that came out a bit dry. The Tikka Masala was delicious though. I enjoyed it, my husband who is sensitive to Indian curries felt that it was also tasty. Even my fussy daughters enjoyed the sauce, though I tried to give them the option to eat it without the sauce by giving them plain chicken with sauce on the side. My guests said that the taste was good but that it was quite mild. They said it was definitely a good "everyman" style sauce. But that they tend to have it hotter when they do have it. One of them said that it was a shame that I had added all the other ingredients to the sauce (i.e. the things suggested on the packet) because it was really nice but he couldn&apos;t tell if it was the packet sauce or what I had done to it. Ah well, I call it a win. They said they&apos;d absolutely come over again for it. I am a huge Indian food fan! I love a good Butter Chicken and it is usually my dish of choice when we opt for takeaways but I very rarely go for the Tikka Masala. From the few times I have tried it I have found it a bit spicier than I would like so generally stick to the safe Butter Chicken option. As with every good curry we decided to serve it up with rice so we started by getting that cooking in the rice cooker and then we put some chicken in the fry pan and cooked that and added the sauce packet (love the ease of opening these packets too, it should be compulsory to have those indents on sauce packets). We let the meal simmer until the rice was cooked and then served it up. This tastes very close to what you would get in a restaurant flavour wise but the spice level is much lower which is excellent for someone like me. Although if you wanted it spicier then you can by just not adding any yogurt in so really it works for most people&apos;s preferred tastes. We were having a late dinner night so the kids were already in bed by the time we cooked this but if they were awake then my daughter would have loved it, she loves rice meals, even spicy ones. As the kids didn&apos;t get any of this meal it made heaps for lunch the next day too so we got to enjoy it all over again. Needing a quick dinner tonight I shot to the groceries and brought some seafood, natural yoghurt and naan bread - nice and simple. Returning home threw on some rice and then quickly heated the onions and seafood and then added the sauce and let it simmer for about 20minutes. Rice cooked, curry cooked and then after it was all dished up added some yoghurt to the plate and it was done. Heated some Naan bread and in less than half an hour had a fantastic meal. I was actually tempted to try doing this is the slow cooker, but instead of the boring chicken or lamb we usually have wanted to try something different and opted for some mussels, shrimps and crab. When reading the instruction on how to cook in the slow cooker seafood was not included so thought better not try and instead used the frying pan. As a family everyone enjoyed it, except the only comment was they did not like mussels (which I love so more for me). My husband said he would rather just have had shrimps or some sort of meat. The girls enjoyed it but my eldest reckoned it was too spicy and kept asking for my naan bread and yoghurt, where as I found the flavour fantastic. My baby or husband did not have a problem with the spice. Think in all honesty she just wanted more naan bread. 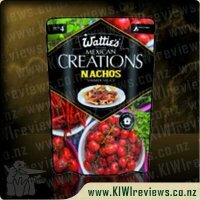 Definitely loving these Watties Creations and will stock up with them in the pantry. Love how quick they are to cook and how much flavour you receive. Perfect for a family of four. 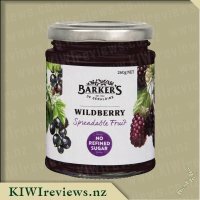 I was lucky enough to be given some of this to review this week, and myself, my husband and my 5 year old enjoyed a delicious dinner of it the other night. I have to start off by saying, that I&apos;m more of a butter-chicken person as a first choice, so I&apos;m not overly sure on what Tikka Masala authentically tastes like, but it seemed to be a fairly good likeness from what I can tell. The packet states mild-medium and I would say that is pretty spot on. My husband doesn&apos;t particularly like spicy food, but he happily ate it and went back for seconds, however he did tell me he wouldn&apos;t want it an hotter! For my 5 year old, I upped the ratio of rice to the Tikka Masala so it wasn&apos;t so spicy. She had a mouthful and declared she didn&apos;t like it... oh dear, it&apos;s not going well so far! But I told her she had to eat it all and soon she had and was asking for seconds! 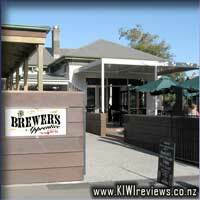 So it got past her discerning taste buds too, which is a big plus! So taste-wise it passed the test for all of us! It was also so easy to whip up in a hurry after a busy day - I only needed onion, chicken, and capsicum. I also needed oil for frying which isn&apos;t mentioned in the &apos;what to get list&apos;. Optional was cream or yoghurt to stir in at the end, and I did feel it needed this. The mixture is almost 80% vegetables, but of course this is mostly tomatoes so I served mine with some green beans and rice. They also suggest naan or poppadoms in the instructions. The packet was easy to use - I tore it open easily without scissors and I could squeeze every last bit out easily so there was no waste. 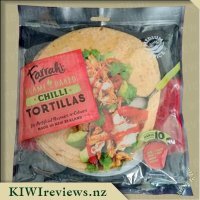 I&apos;d certainly buy this again, and I&apos;d happily recommend it to anyone likes quick and tasty dinners and is quite happy for them to come from a packet base! My husband and I love a good Indian curry so when this one turned up in my box of review goodies I was very happy. I really like the packaging, though I should note that I didn&apos;t see what level of spiciness this was until just now (so after having cooked it etc. ), had it been closer to the middle and not where you rip it open I would have noticed it better. I like the images of the actual spices used on the cover and the serving suggestion takes up only a small space which I think is quite good (it doesn&apos;t take over the page). I decided to put our dish on rice and so started by frying up some onion, zuchinni, cauliflower and diced tomatoes. The great thing about the packaging was the ease of opening and I had no problems at all with doing so, a nice change from some packaging. I could smell a bit of spice but not too much so wasn&apos;t too concerned about the kids, would have been had I seen it was mild/medium rated. The back suggests cream of yoghurt but having neither I opted for cottage cheese which went with it wonderfully and cut out almost all the heat of the spice. We had this with a vegetarian &apos;meat&apos; and it was delish! The kids actually ate it all. This is at the high end of my preferred cost for sauce but it is one I would buy again.